Alta and Snowbird sit side-by-side about 45 minutes outside Salt Lake City in one of the snowiest places in the country. That would be Little Cottonwood Canyon where some 550 inches of light, low-moisture powder drifts down virtually every winter. 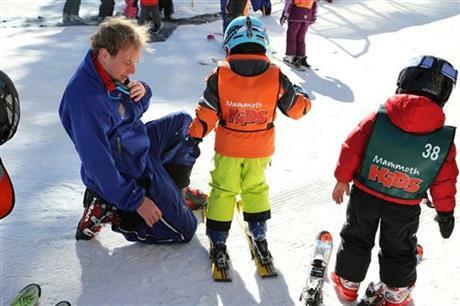 These two have been elevated by skiers into a Ski Resorts Hall of Fame. Alta opened in 1938 and Snowbird in 1971. Way back when, this was mining country. I did not see many vestiges of the mines when I visited the two resorts in late January. But the canyon still sticks to its traditional values which I guess is why snowboarders are banned from the Alta slopes. 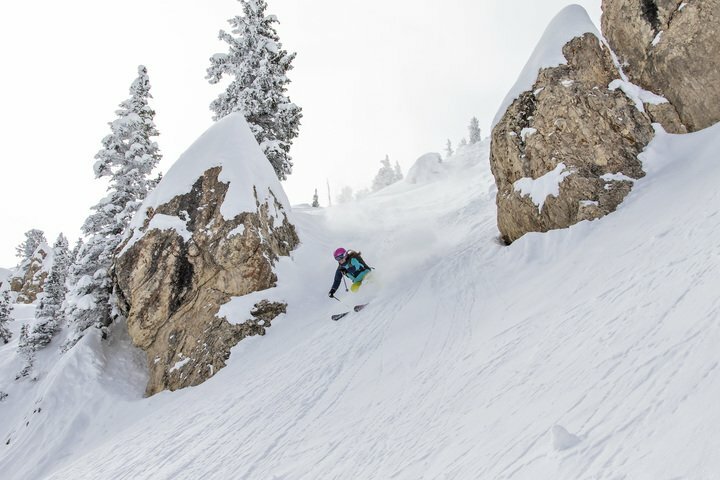 Snowbird is big, full of powder-happy bowls, cliff jumps and daring terrain. Some 168 runs cascade down from the 11,000-foot summit of Hidden Peak. Eleven speedy lifts, including the 125-passenger tram to the top, keep snowboarders and skiers on the slopes. Snowbird also has the longest ski tunnel in the country which skiers and riders glide through on their way to Mineral Basin. Alta boasts 116 runs and a bevy of quick lifts. It has more of an intimate feel than Snowbird and has more terrain for novices and intermediates. The slopes are tighter and have more trees that makes for better visibility on flat light days. If you go, plan on lunch at the Summit at the top of the Snowbird tram. The place is full of healthy organic dishes based on French rotisserie traditions. The menu includes gluten-free pizza. I like groomed single black diamonds and there are few better than Regulator Johnson off the top. Or take the slower, winding Chip’s run which spirals down for 2.5 miles. The best intermediate slopes are in Gad Valley. For those who search for impeccably groomed intermediate runs, Alta has many choices. Two of the best were Rock ‘N Roll and Rollercoaster. 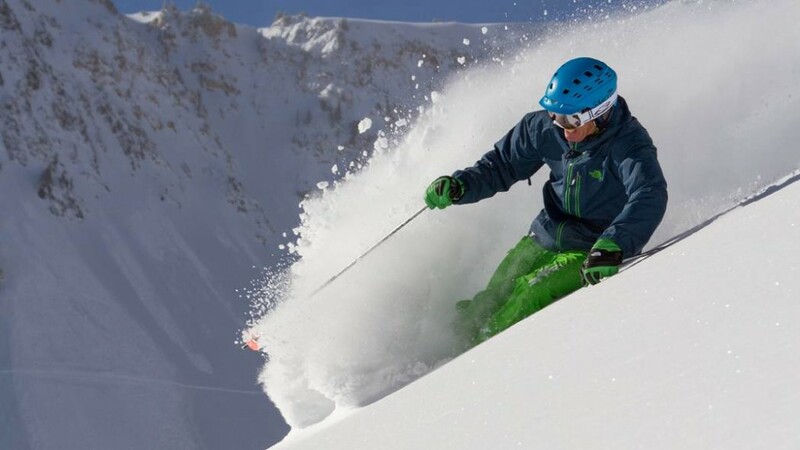 The two resorts are widely known for some of the lightest powder in the West. The weather Gods dump the higher moisture snow around the West Coast and by the time the storms hit Utah, the powder is insanely fluffy. Utah is having a great snow year. In early February, Alta and Snowbird were already approaching nearly 400 inches of snow. But all that snow can come with a price. In mid-January, an avalanche shut down the road to the two resorts for nearly 24 hours. Andria Huskinson, public relations manager at Alta, told me that thanks to the superb snow and other factors, business was up 30 percent so far over the previous season. Both resorts typically have an extended late season. Alta usually gets about seven feet of snow in April. Snowbird has several high-rise hotels at the base. Alta has a number of more traditional sleeping spots including Alta Lodge, Snowpine and Rustler Lodge. Expect to really lighten your wallet if you sleep at the resorts. We opted to check in to a hotel in Salt Lake City. That was after we perused the Ski City website — www.skicity.com — for info on bus connections. It really worked out. For $400, our Ski City pass entitled us to ski four resorts in Little and Big Cottonwood canyons and the pass was good for bus transportation to and from the resorts. Take some time to explore the historical facets of the two resorts. At one time, Alta boasted 18,000 residents, making it the largest city in Utah. Now the year-round population has dwindled to about 400. A hard wind pelted exposed areas of our faces with tiny pellets of sleet and drove the 16-degree air through any chink in the ski gear covering my 4-year-old son Alex and me. He’d just fallen getting off a ski lift at Utah’s Brighton Ski Resort and I could see the tears welling up through the goggles. Swift, decisive action was essential. Minutes later, we were sharing a large hot chocolate, a plate of cheese fries and planning our afternoon away from the mountain. A full belly, time at the hotel pool and a nap rescued my future of skiing with my son from a miserable morning on the mountain. “Let’s go to Snowbird,” he replied, referring to one of the ski resorts, when I asked if he wanted to ski or go into the city on the third day of our weeklong trip. Music to my ears. I was determined to share my love of skiing with my son, but wondered if I was pushing it when I put him on the slopes at age 3. And since we live far from snowy mountains, I worried we wouldn’t get out often enough for it to take. But at 4, he showed mastery of the basics, and at 5, he can’t wait to go back. 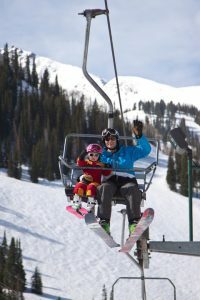 For other parents out there wondering how to ignite a love of skiing in little ones, here are some tips on what worked for us. First off, as most parents know, the kid is in charge. If he or she doesn’t want to learn, there is no amount of coaxing, bribing, pushing or fooling them into doing it. With Alex, I made sure to promote a love of snow. The sporadic snowfalls in St. Louis, where we live, always result in snowmen, snow-gorillas and other unrecognizable sculptures in our front yard. In fact, we’ve even resorted to stealing the snow from all our neighbors’ yards, when the snowfall is too scanty for our own allotment to build anything of substance. Much like Dad, Alex loves gear. Playing with this helped build excitement for skiing. At age 3 he started wearing ski goggles and helmet while riding in his car seat during winter time. Used skis and ski boots off eBay came cheap and meant he could get used to stomping around in the boots before we even left St. Louis. Another major storm has left more than three feet of snow blanketing the Snowbird ski resort since Sunday. The Little Cottonwood Canyon resort has received 222 inches of snow this season, and more snow is in the forecast through Thursday night, according to the National Weather Service.